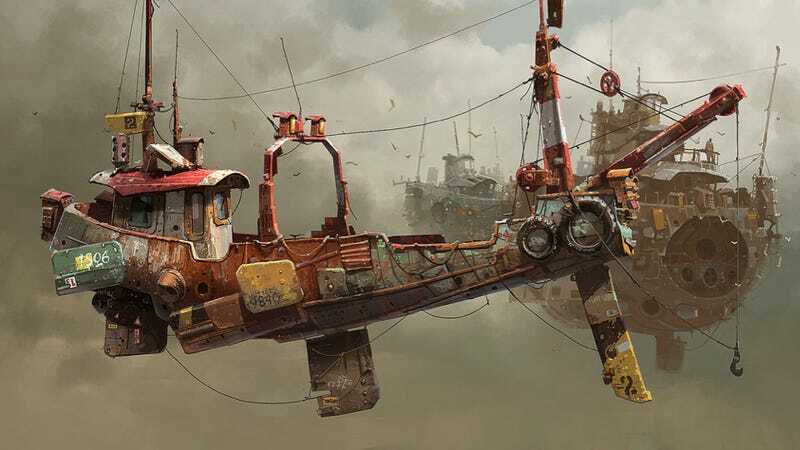 We've always loved Ian McQue's incredible jalopy ship designs, and now Industria Mechanika is selling a super limited-edition version of this Remora ship as a model. If you love putting together models and painting them, this beauty could be your next project. Supplies are limited on these $150 kits, so zip over to Industria Mechanika to pick one up. For those of us who lack manual dexterity, there's always McQue's art on his website.